The roape.net debate series has discussed capitalism in Africa through forward looking industrial policy and possibilities for structural transformation. Yet, the backbone of many African economies continues to be in agriculture. Nungari Mwangi contributes to ROAPE’s debate by looking into export horticulture in Kenya and its role in the expansion of capitalism in Africa. Using a case study based on her PhD research of marginalized small scale flower farmers, she challenges the orientation towards European export markets, and calls for a focus on local and regional markets for their survival. The expansion of capitalism in African agriculture developed through the systematic orientation of exports to Europe. This was part of a diversification approach fostered by the World Bank’s Structural Adjustment Programs (SAPs) through which the export of high value horticultural commodities such as flowers, fruits and vegetables propped up many African economies. For example, in Kenya, cut flowers have been grown for export since the 1970s. Providing approximately 38% of the total cut flower imports to the European Union, the country is the third largest exporter of cut flowers in the world after Colombia and Ecuador. The sub-sector is the second highest earner of foreign exchange in agriculture after tea, and is the driver of growth in horticulture providing for 70% of the total value of horticulture exports. Cut flower production has historically been dominated by large scale growers and exporters who produce up to 97% of flowers for export predominantly roses. What is interesting is that according to the literature, Kenya is the only country in the world that has smallholders growing cut flowers for export. They typically grow what are known as ‘fillers’ or summer flowers which are all the colourful varieties (such as Arabicum, Eryngium, Alstroemeria, Agapanthus and Craspedia among others) that make-up a bouquet of greenhouse varieties such as roses or chrysanthemums. These are grown in the open, in areas between a quarter acre to five acres of farmland. The farmers are scattered in the central highlands and Rift Valley areas and are few – not more than 10,000 in total. It is difficult to get exact numbers because there is no central database updating figures. The last estimate of their contribution in 2008 by N.M Muthoka and Alice Muriithi and placed it between 5-13% of the value of cut flower exports. The last comprehensive smallholder survey was done in 2010 by Fintrac and estimated their contribution at between $7-10 million. 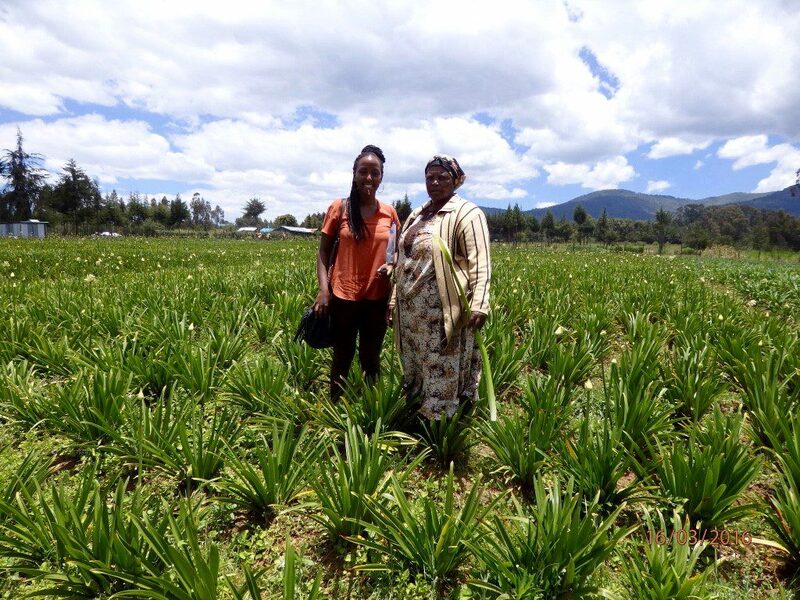 The earliest instance of involvement of smallholders in the Kenyan cut flower industry goes back to the 1970s when the government was trying to indigenize an industry largely seen as being dominated by foreigners. Today, smallholders grow cut flowers as a diversification strategy from other high value crops such as tea, green-beans, peas and potatoes, and so these smallholders are experienced farmers. In interviews for my research into export floriculture in Kenya, they often described cut flowers as ‘gold’ for them and argued that they were more financially secure and therefore food secure after venturing into flower production. Of the approximately 10,000 smallholder cut-flower farmers in Kenya, the vast majority operate as out-growers for export firms such as Wilmar Agro Ltd. These are networks of unorganized smallholder farmers who supply fillers to export companies which are responsible for the coordination of supply, logistics and marketing to the Dutch flower auction. Outgrower schemes are the only form of organization for smallholders in this sub-sector given that there is currently no flower farmers’ cooperative. 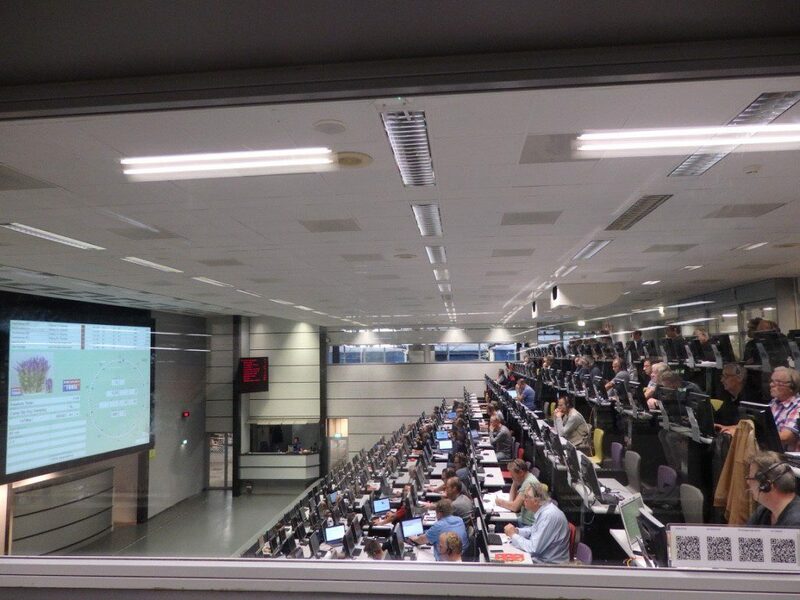 The Dutch auction has been the centre of the global flower trade for the last century and brings together thousands of varieties of flowers and hundreds of big buyers from all over Europe and arguably one of the world’s most sophisticated logistical supply machines. It is a buyers’ market in that prices are determined by buyers’ demand as regulated by the Dutch auction clock, which is unique as it begins the bid with the highest price per stem and descends. This system is meant to match the flowers which are in highest demand with the best possible price. Producers are therefore only price takers. The only bargaining power they have is to build a strong reputation based on high quality and consistency at the auction so that their flowers stand out. The auction works well for smallholders because it absorbs all supply irrespective of volumes and varieties and has minimal restrictions in terms of entry certifications. However, costs of doing business are high which encourages trade in large volumes. It is often easier for smallholders to set out as out-growers working for an export company which navigates the complexities of temperature-sensitive supply and logistics, export handling and the politics of market access. In some cases, these export firms provide farmers with inputs and crop specific training as well as quality checks. However, as Maurice Bolo wrote about in 2010 export firms’ relationships with smallholders often limit the farmer’s ability to move beyond production into say, value addition or even to trade, where they might be in direct competition with the export firms. This situation renders them into what Lenin once described as “propertied proletarians, workers cultivating company crops on private allotments”. Nevertheless, a few experienced farmers have evolved beyond these out-grower schemes to also operate as farmer-entrepreneurs exporting directly to the auction, while others have tried, with limited success, to consolidate varieties and form their own exporting companies. The idea of a farmer-entrepreneur here stands not as an idealized state of smallholder development but rather as a figure of resistance against becoming appendages to the interests of global capital. Since the release of the World Bank Development Report, ‘Agriculture for Development’ in 2008 and a subsequent report in 2009 entitled ‘Awakening Africa’s Sleeping Giant’, there has been a revised interest on how best to integrate otherwise marginalised smallholders in the production of fruits, flowers and vegetables to European export markets and beyond. In 2004, Tanya Korovkin wrote that in Ecuador, where the flower industry is at a more advanced capitalist stage than in Kenya, the rise of large scale flower production led to increases in land prices and crises in peasant agriculture namely fragmentation, declining yields and reliance on off-farm income leading to the proletarianization of the rural labour force. This model of inclusion in development often assumes that deeper integration is always the better deal, rather than engaging them and thinking through the most strategic means for smallholders to engage with markets, both globally and locally, in such a way as to enable them to become entrepreneurs in their own right as opposed to labourers on plantations or out-growers. It tends to overlook the realities of “adverse incorporation”, so the many complex ways in which integration can be disempowering and exploitative to how people are able to earn a living over time. Andries Du Toit and Sam Hickey have written widely about the notion of adverse incorporation which they see as enacted by unequal power relations operating within imperfect markets in a globalizing world economy marked by transnational capital flows, and patriarchal norms. I interviewed smallholders in Kenya who had broken away from export firms to form their own flower export company. They felt these export firms were paying them considerably less than their produce was worth based on the prices at the auction. Disillusioned, they described how their “hearts were broken” from failing to manage how seasons affected the dynamics of demand and the very high cost of doing business at the Dutch auction. Further they explained how they failed to appreciate the overwhelming cost and complexity of managing the high-tech, temperature sensitive processes of getting the flowers from farm to auction in a matter of hours. Brokers and consolidators nevertheless remain pivotal for farmers’ access due to their market knowledge and export networks that remain beyond reach for the average farmer. In search of access to year-round markets which the traditional Dutch auction does not offer, farmers are increasingly seeking new trade relationships such as direct partnerships with supermarkets. The ability to negotiate the price in direct markets prior to supply provides precious bargaining power that is not available when selling to the auction. However, a different set of capabilities is required to branch into these ‘direct’ markets such as the ability to produce consistently and to meet increasingly stringent supermarket certification standards. Florists are much less policed by certification requirements but are much less directly accessible for smallholders. Some supermarkets such as ASDA – a major player in the UK – have moved into direct sourcing where they partner with large farms that consolidate supply from smallholders, manage the quality checks and package the flowers into bouquets. However, this model is exclusive and its ability to involve a wide number of farmers is yet unclear. Farmer-entrepreneurs who grow niche varieties of summer flowers have greater autonomy to seek a relationship that allows them the option of taking on more value-added functions and/or to specialize in production. The survival of smallholders in the flower industry as entrepreneurs is dependent on them working together towards these more ‘relational’ terms of trade, which may not necessarily mean deeper integration into the seasonal, tightly policed buyer-driven European export markets. Indeed, it may well lie in exploring the potential in local markets. So, the expansion of local and regional supermarkets in Kenya such as Nakumatt and Game, as well as international players such as Carrefour which are considered ‘upmarket’, offer new opportunities for smallholders to supply their produce locally. Other local opportunities include the real estate boom that exhibits a demand in landscaping floriculture, as well as the prevalence of corporate events and weddings with demand for cut flowers. However, more research is required into the size, dynamics and evolution of the local market. Farmer entrepreneurs might be better off exploring opportunities in local supermarkets and malls that have fewer or lower entry barriers and that might offer year-round consistency of demand and more opportunities for skills-based activities such as the creation of bouquets locally. In particular, targeting local markets could be a better option for newer less-organised farmers who struggle with production of large volumes and the complexities of export logistics. 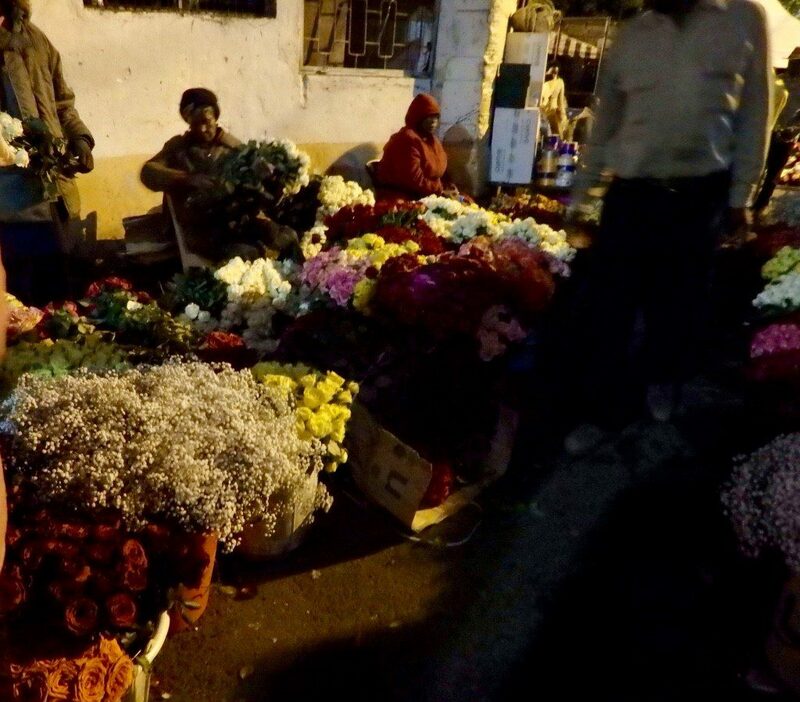 Smallholders currently trade the overflow of their high quality harvest at the Nairobi Flower market which is open from 4 am to 7 am daily and is an important source of cash flow for them. Large scale farms sell their rose “rejects” (whatever did not make it for export) at this market at a throw-away price and so the quality of produce sold at this market for local consumption is variable. Yet, access to local and regional markets comes with its own set of challenges – not least because not enough is known about these markets. The cost of transportation in East Africa is very high given poor quality of rural roads, lack of refrigerated trucks and cold chain infrastructure, inefficient taxation regimes and other bureaucratic hurdles. In terms of trade policy, tensions between Kenya and Tanzania have been high since Tanzania last year declined to sign the Economic Partnership Agreement which would guarantee duty free access of East African agricultural imports into the EU. Tanzania argues that it may lead the EU to dump cheap agricultural imports and in the long term jeopardize the country’s infant manufacturing industries. Looking towards West Africa, the government of Kenya has been working to overturn the ban on horticulture exports to Nigeria. Absurdly, Nigeria currently imports Kenyan flowers via a convoluted trade route from Holland or the UK – perpetuating the neocolonial hegemony of Europe as the hub of trade. A strategic shift to exploring alternative opportunities in local and regional markets returns us to Samir Amin’s concept of delinking. In it he lays out a form of resistance to the dominant logic of capitalist globalisation by turning towards local and regional markets as an alternative from those developed in Northern countries. This is premised on Amin’s understanding that the centre develops at the expense of countries in the periphery through unequal exchange. In the large-scale export-led flower industry, this can be seen in the shift of production from Holland to the Global South to save on energy costs after the crisis of the early 1970’s, as well as benefiting from the suppression of wages and unions in the developing world after years of neoliberal policies. It can also be seen in the monopolization of the international flower trade at the auction in Holland, as well as the practice of storing profits offshore (see, for example, Kenya government sues Sher Karuturi for transfer pricing). Amin discussed the establishment of monopolies in the north and the capture of super profits as part of the mechanisms of capitalist globalization that reinforce unequal exchange and ‘underdevelopment’ which is when countries undergo economic growth but in ways that do not contribute to long term development (see also Christopher Hope’s blogpost in this series). Acknowledging the unequal power of the Dutch auction over the long-term bargaining power of Kenyan producers, the Kenyan government (in the draft national horticulture policy of 2012) highlighted the possibility of setting up a regional flower auction in a bid to shift power dynamics to producers in the value chain. Though noble, this is a complex proposition that should first investigate the value and efficiency of services provided by the Dutch auction as well as the trends in the nature of demand for cut flowers in Europe and beyond. More achievable perhaps is robustly exploring local and regional markets that could present smallholder, cut flower farmer entrepreneurs with less restrictive options and greater bargaining power over the long term. Though this, in turn, might require a radical reorientation of national, regional and continental political-economy. Nungari Mwangi is a PhD researcher at the Centre of Development Studies at the University of Cambridge. Her PhD research is on shifting power dynamics in the Kenya – EU cut flower value chain. Featured Photograph: Netherlands 2009, (Dutch Flower Auction). Let’s help Kenya progress. Let’s support their flower industry!